The PlatformLED USA for North America is under construction in our workshop. 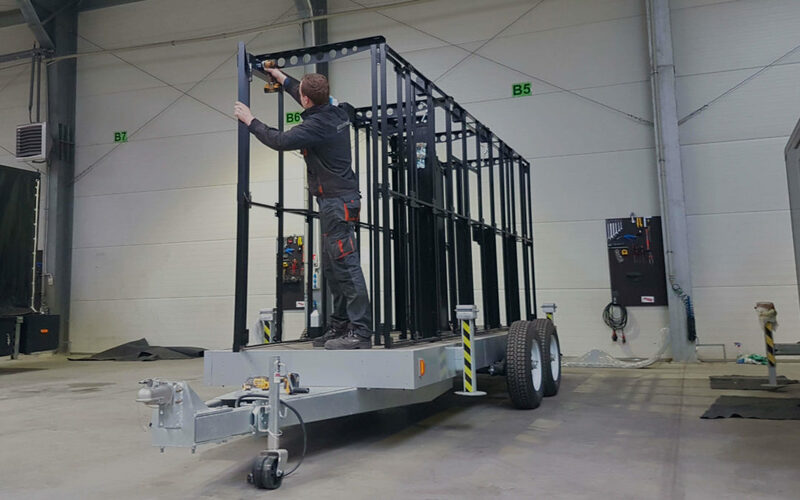 It is a mobile screen trailer that allows for quick transport and screen installation. One person can prepare the whole setup to work in as short as 15 minutes. Key advantage of our product is that it can provide you with significant cost and time savings. • Various screen sizes from 16.4’x 9,8′ to to 23’x14,8′ (5 x 3m to 7 x 4,5m). 21 m² MobiLED for a German customer. Why to choose mobile LED screen? Merry Christmas and Happy New Year 2019 from Screen-LED.